In case you’ve not noticed, I’m a Beatles fan and, though John is my undying favorite, I am a dedicated McCartney defender. (Anyone who pens a tune like Yesterday is allowed to have misfires like, oh, say, The Frog Chorus.) His judgment may not be what it was (um, Heather Mills, anyone?) but dammit, he’s still Paul McCartney. It’s a carte blanche to do whatever the hell he wants, and he knows it, as evidenced by decades of dabbling in ‘experimental’ endeavors. (John would probably have opted for the word ‘soft.’) And so, with this (well-deserved) carte blanche of his, Macca has recently announced that it is time the world hear a long forgotten 14-minute experimental track recorded in 1967 called Carnival of Light. 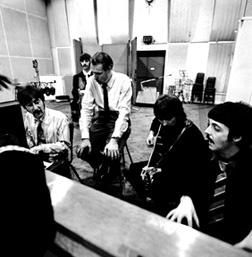 According to Time Magazine, “McCartney said during a recording session at Abbey Road studios he asked the other members of the band to ‘just wander all of the stuff and bang it, shout it, play it. It doesn’t need to make any sense. I like it because it’s The Beatles free, going off piste.” Sounds like something the Plastic Ono Band would have masterminded, and while John was the definitive experimental artist, Paul has been somewhat brushed under the rug as the melodically-inclined traditionalist. But Carnival of Light was 1967. The year of the Summer of Love, and the year Paul and the lads were not only privy to pot and LSD, but Macca in particular was a willing experimenter with cocaine. (He even beat John to the stuff.) He was a scenseter in London’s arty underworld, being good mates with Barry Miles of London’s famous Avant Garde Indica Gallery, was deeply intrigued with Metaphysics, Nietzsche, Dali and Magritte (the posthumous Apple Records muse) and experimental musicians like Karlheinz Stockhausen. And this is why Carnival of Light makes me a lot of people nervous. Um … perhaps a tad harsh, you guys. But really, Macca, if the reasoning behind your rhyme is down to a need to assert yourself as a serious revolutionary figure in modern music, you needn’t worry my dearie. 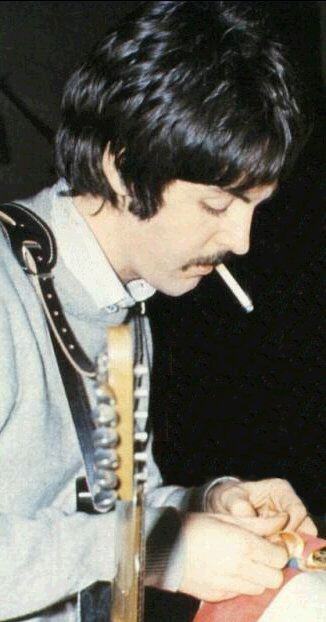 You are Paul McCartney. ‘Nuff said.